Contrary to information GE provided when it first notified of its intention to acquire the Danish blade manufacturer in January 2017, it had been offering a 12MW turbine to potential customers, the commission found. Under the EU Merger Regulation, companies in a merger investigation must provide correct and non-misleading information. Today’s decision has no impact on the commission’s approval of the transaction, as GE later resubmitted accurate information about the proposed acquisition, the EU body added. European commissioner for competition Margrethe Vestager said: "Our merger assessment and decision-making can only be as good as the information that we obtain to support it." GE reached a deal with LM’s owner, private equity firm Doughty Hanson, to acquire the blade manufacturer in October 2016. It first notified the European Commission of the proposed acquisition on 11 January 2017. In its submission, the US giant stated that it did not have any turbines with power ratings of more than 12MW. However, the commission found GE was offering a 12MW model to potential customers. 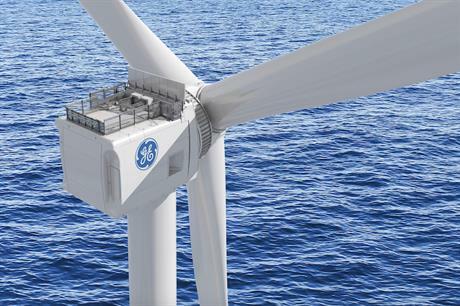 GE would go on to publicly launch its 12MW Haliade-X machine in March 2018. The turbine manufacturer withdrew its initial notification on 2 February 2017, before filing the same transaction on 13 February — this time with complete information about its turbine offering. On 20 March 2017, the European Commission approved GE’s acquisition of LM. Announcing the €52 million fine, the commission stated GE was "negligent" in providing incorrect information — a "serious infringement’ as it prevented the EU body from having all the relevant information needed to assess the transaction. Further, it added GE should have been aware of the relevance of this information and its obligations under the Merger Regulation. The commission can impose fines of up to 1% of companies' aggregated turovers, under the regulation, which came into force in 2004. Today's €52 million fine is 0.04% of GE's €108.3 billion (US$121.6 billion) total consolidated revenues in 2018.